No smoking. No problem. 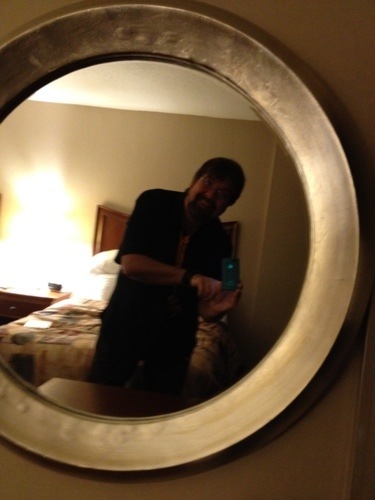 We build the smell right into our rooms. Thanks to NASCAR weekend, we were forced to pay $500 for the last two remaining rooms in Upstate New York…at the Ramada Inn. 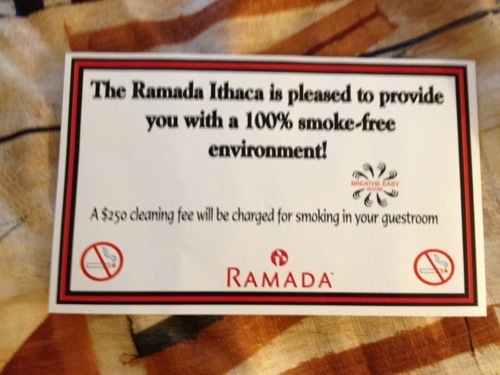 Thank God they are a 100% smoke-free environment. Except for the smell of smoke that permeates 100% of everything. Ken decided to take up smoking in the hopes that they would clean the room. 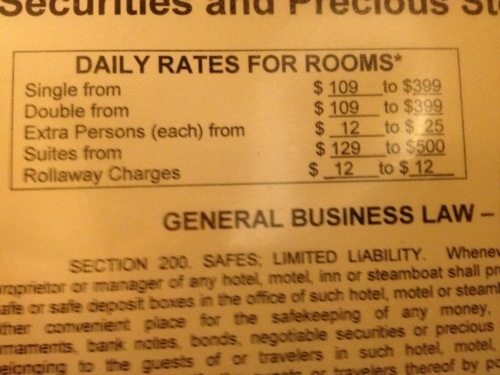 Hey, it coulda been $1,000 if we had sprung for two suites. 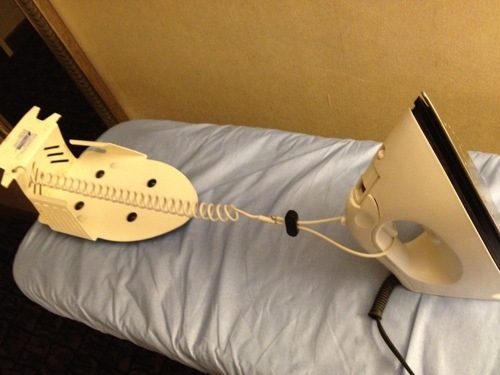 We usually steal the iron but were foiled in our attempt this time. 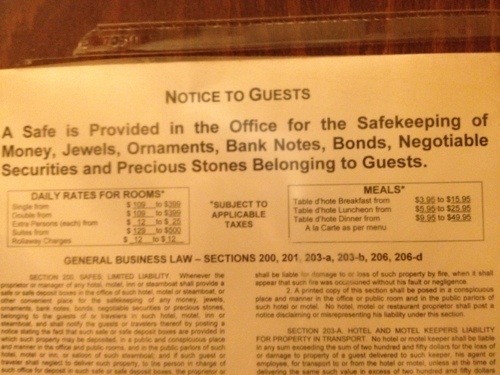 Apparently a lot of Ramada guests travel with precious gems and bank notes.